Shawn Xu is a managing partner at The Dorm Room Fund. There has never been a better time to start, join or fund a startup as a student. Young founders who want to start companies while still in school have an increasing number of resources to tap into that exist just for them. Students that want to learn how to build companies can apply to an increasing number of fast-track programs that allow them to gain valuable early stage operating experience. The energy around student entrepreneurship today is incredible. I’ve been immersed in this community as an investor and adviser for some time now, and to say the least, I’m continually blown away by what the next generation of innovators are dreaming up (from Analytical Space’s global data relay service for satellites to Brooklinen’s reinvention of the luxury bed). First, let’s look at student founders and why they’re important. 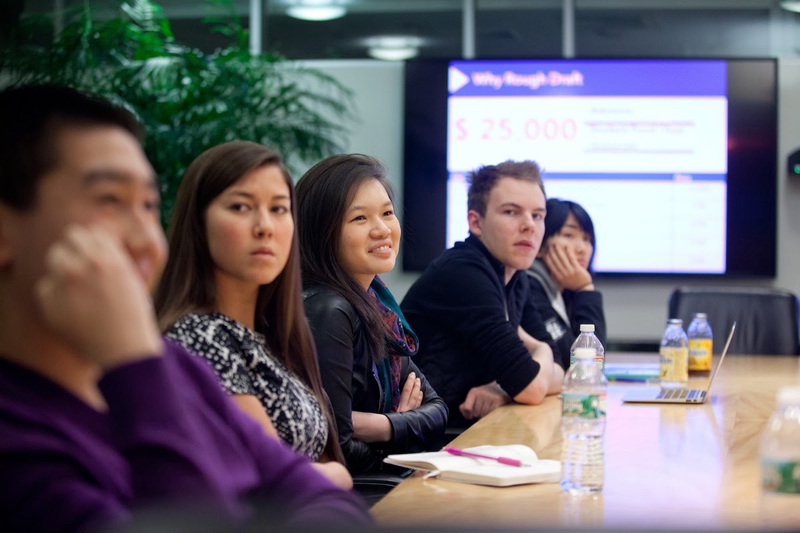 Student entrepreneurs have long been an important foundation of the startup ecosystem. Many students wrestle with how best to learn while in school —some students learn best through lectures, while more entrepreneurial students like author Julian Docks find it best to leave the classroom altogether and build a business instead. Indeed, some of our most iconic founders are Microsoft’s Bill Gates and Facebook’s Mark Zuckerberg, both student entrepreneurs who launched their startups at Harvard and then dropped out to build their companies into major tech giants. A sample of the current generation of marquee companies founded on college campuses include Snap at Stanford ($29B valuation at IPO), Warby Parker at Wharton (~$2B valuation), Rent The Runway at HBS (~$1B valuation), and Brex at Stanford (~$1B valuation). Student founders are everywhere, but the highest concentration of venture-backed student founders can be found at just 5 universities. Based on venture fund portfolio data from the last six years,Harvard, Stanford, MIT, UPenn, and UC Berkeley have produced the highest number of student-founded companies that went on to raise $1 million or more in seed capital. Some prospective students will even enroll in a university specifically for its reputation of churning out great entrepreneurs. This is not to say that great companies are not being built out of other universities, nor does it mean students can’t find resources outside a select number of schools. As you can see later in this essay, there are a number of new ways students all around the country can tap into the startup ecosystem. For further reading, PitchBook produces an excellent report each year that tracks where all entrepreneurs earned their undergraduate degrees. Student founders have a number of new media resources to turn to. 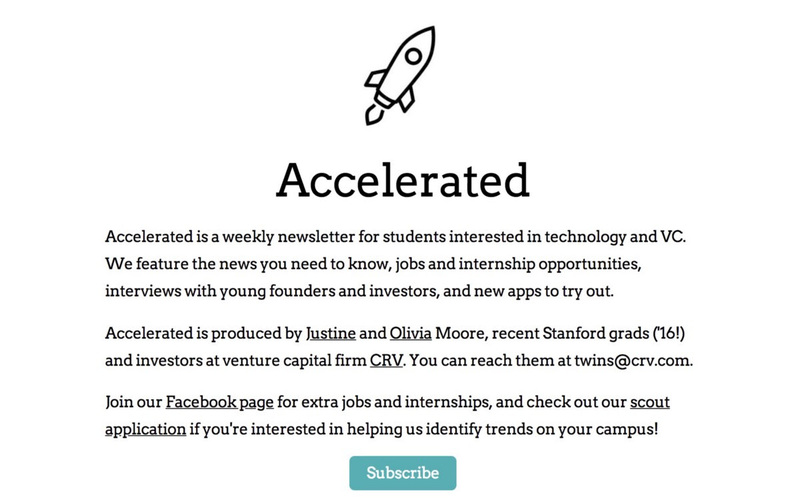 New email newsletters focused on student entrepreneurship like Justine and Olivia Moore’s Accelerated and Kyle Robertson’s StartU offer new channels for young founders to reach large audiences. Justine and Olivia, the minds behind Accelerated, have a lot of street cred— they launched Stanford’s on-campus incubator Cardinal Ventures before landing as investors at CRV. StartU goes above and beyond to be a resource to founders they profile by helping to connect them with investors (they’re active at 12 universities), and run a podcast hosted by their Editor-in-Chief Johnny Hammond that is top notch. My bet is that traditional media will point a larger spotlight at student entrepreneurship going forward. While it is difficult to estimate exactly how much capital has been deployed by each, there is no denying that there has been an explosion in the number of programs that address the pre-seed phase. A sample of the programs available at the Top 5 universities listed above are in the graphic below — listing every resource at every university would be difficult as there are so many. One alumni-centric fund to highlight is the Alumni Ventures Group, which pools LP capital from alumni at specific universities, then launches individual venture funds that invest in founders connected to those universities (e.g. students, alumni, professors, etc.). Through this model, they’ve deployed more than $200M per year! Another highlight has been student scout programs — which vary in the degree of autonomy and capital invested — but essentially empower students to identify and fund high-potential student-founded companies for their parent venture funds. On campuses with a large concentration of student founders, it is not uncommon to find student scouts from as many as 12 different venture funds actively sourcing deals (as is made clear from David Tao’s analysis at UC Berkeley). In my opinion, the two institutions that have the most expansive line of sight into the student entrepreneurship landscape are First Round’s Dorm Room Fund and General Catalyst’s Rough Draft Ventures. Since 2012, these two funds have operated a nationwide network of student scouts that have invested $20K — $25K checks into companies founded by student entrepreneurs at 40+ universities. “Scout” is a loose term and doesn’t do it justice — the student investors at these two funds are almost entirely autonomous, have built their own platform services to support portfolio companies, and have launched programs to incubate companies built by female founders and founders of color. Another student-run fund worth noting that has reach beyond a single region is Contrary Capital, which raised $2.2M last year. They do a particularly great job of reaching founders at a diverse set of schools — their network of student scouts are active at 45 universities and have spoken with 3,000 founders per year since getting started. Contrary is also testing out what they describe as a “YC for university-based founders”. In their first cohort, 100% of their companies raised a pre-seed round after Contrary’s demo day. Another even more recently launched organization is The MBA Fund, which caters to founders from the business schools at Harvard, Wharton, and Stanford. While super exciting, these two funds only launched very recently and manage portfolios that are not large enough for analysis just yet. Over the last few months, I’ve collected and cross-referenced publicly available data from both Dorm Room Fund and Rough Draft Ventures to assess the state of student entrepreneurship in the United States. Companies were pulled from each fund’s portfolio page, then checked against Crunchbase for amount raised, accelerator participation, and other metrics. If you’d like to sift through the data yourself, feel free to ping me — my email can be found at the end of this article. To be clear, this does not represent the full scope of investment activity at either fund — many companies in the portfolios of both funds remain confidential and unlisted for good reasons (e.g. startups working in stealth). In fact, the In addition, data for early stage companies is notoriously variable in quality, even with Crunchbase. You should read these insights as directional only, given the debatable confidence interval. Still, the data is still interesting and give good indicators for the health of student entrepreneurship today. Dorm Room Fund and Rough Draft Ventures have invested in 230+ student-founded companies that have gone on to raise nearly $1 billion in follow on capital. These funds have invested in a diverse range of companies, from govtech (e.g. mark43, raised $77M+ and FiscalNote, raised $50M+) to space tech (e.g. Capella Space, raised ~$34M). Several portfolio companies have had successful exits, such as crypto startup Distributed Systems (acquired by Coinbase) and social networking startup tbh (acquired by Facebook). While it is too early to evaluate the success of these funds on a returns basis (both were launched just 6 years ago), we can get a sense of success by evaluating the rates by which portfolio companies raise additional capital. Taken together, 34% of DRF and RDV companies in our data set have raised $1 million or more in seed capital. For a rough comparison, CB Insights cites that 40% of YC companies and 48% of Techstars companies successfully raise follow on capital (defined as anything above $750K). Certainly within the ballpark! Dorm Room Fund and Rough Draft Ventures companies in our data set have an 11–12% rate of survivorship to Series A. As a benchmark, a previous partner at Y Combinator shared that 20% of their accelerator companies raise Series A capital (YC declined to share the official figure, but it’s likely a stat that is increasing given their new Series A support programs. For further reading, check out YC’s reflection on what they’ve learned about helping their companies raise Series A funding). In any case, DRF and RDV’s numbers should be taken with a grain of salt, as the average age of their portfolio companies is very low and raising Series A rounds generally takes time. Ultimately, it is clear that DRF and RDV are active in the earlier (and riskier) phases of the startup journey. Dorm Room Fund and Rough Draft Ventures send 18–25% of their portfolio companies to Y Combinator or Techstars. Given YC’s 1.5% acceptance rate as reported in Fortune, this is quite significant! Internally, these two funds offer founders an opportunity to participate in mock interviews with YC and Techstars alumni, as well as tap into their communities for peer support (e.g. advice on pitch decks and application content). As a result, Dorm Room Fund and Rough Draft Ventures regularly send cohorts of founders to these prestigious accelerator programs. Based on our data set, 17–20% of DRF and RDV companies that attend one of these accelerators end up raising Series A venture financing. Dorm Room Fund and Rough Draft Ventures don’t invest in the same companies. When we take a deeper look at one specific ecosystem where these two funds have been equally active over the last several years — Boston — we actually see that the degree of investment overlap for companies that have raised $1M+ seed rounds sits at 26%. This suggests that these funds are either a) seeing different dealflow or b) have widely different investment decision-making. Dorm Room Fund and Rough Draft Ventures should not just be measured by a returns-basis today, as it’s too early. I hypothesize that DRF and RDV are actually encouraging more entrepreneurial activity in the ecosystem (more students decide to start companies while in school) as well as improving long-term founder outcomes amongst students they touch (portfolio founders build bigger and more successful companies later in their careers). As more students start companies, there’s likely a positive feedback loop where there’s increasing peer pressure to start a company or lean on friends for founder support (e.g. feedback, advice, etc).Both of these subjects warrant additional study, but it’s likely too early to conduct these analyses today. Dorm Room Fund and Rough Draft Ventures have impressive alumni that you will want to track. 1 in 4 alumni partners are founders, and 29% of these founder alumni have raised $1M+ seed rounds for their companies. These include Anjney Midha’s augmented reality startup Ubiquity6 (raised $37M+), Shubham Goel’s investor-focused CRM startup Affinity (raised $13M+), Bruno Faviero’s AI security software startup Synapse (raised $6M+), Amanda Bradford’s dating app The League (raised $2M+), and Dillon Chen’s blockchain startup Commonwealth Labs (raised $1.7M). It makes sense to me that alumni from these communities that decide to start companies have an advantage over their peers — they know what good companies look like and they can tap into powerful networks of young talent / experienced investors. Beyond Dorm Room Fund and Rough Draft Ventures, some venture capital firms focus on incubation for student-founded startups. Credit should first be given to Lightspeed for producing the amazing Summer Fellows bootcamp experience for promising student founders — after all, Pinterest was built there! Jeremy Liew gives a good overview of the program through his sit-down interview with Afterbox’s Zack Banack. Based on a study they conducted last year, 40% of Lightspeed Summer Fellows alumni are currently active founders. Pear Ventures also has an impressive summer incubator program where 85% of its companies successfully complete a fundraise. Index Ventures is the latest to build an incubator program for student founders, and even accepts founders who want to work on an idea part-time while completing a summer internship. Let’s now look at students who want to join a startup before founding one. Venture funds have historically looked to tap students for talent, and are expanding the engagement lifecycle. 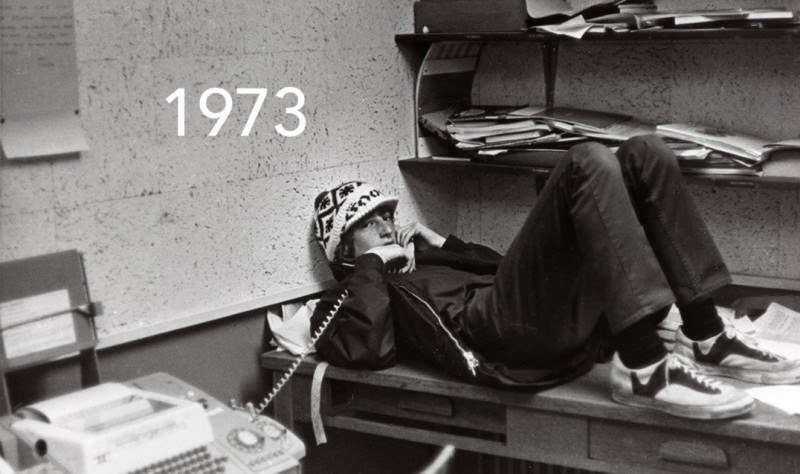 The longest running programs include Kleiner Perkins’ class=”m_1196721721246259147gmail-markup–strong m_1196721721246259147gmail-markup–p-strong”> KP Fellows and True Ventures’ TEC Fellows, which focus on placing the next generation’s most promising product managers, engineers, and designers into the portfolio companies of their parent venture funds. There’s also the secretive Greylock X, a referral-based hand-picked group of the best student engineers in Silicon Valley (among their impressive alumni are founders like Yasyf Mohamedali and Joe Kahn, the folks behind First Round-backed Karuna Health). As these programs have matured, these firms have recognized the long-run value of engaging the alumni of their programs. More and more alumni are “coming back” to the parent funds as entrepreneurs, like KP Fellow Dylan Field of Figma (and is also hosting a KP Fellow, closing a full circle loop!). Based on their latest data, 10% of KP Fellows alumni are founders — that’s a lot given the fact that their community has grown to 500! This helps explain why Kleiner Perkins has created a structured path to receive $100K in seed funding to companies founded by KP Fellow alumni. It looks like venture funds are beginning to invest in student programs as part of their larger platform strategy, which can have a real impact over the long term (for further reading, see this analysis of platform strategy outcomes by USV’s Bethany Crystal). Venture funds are doubling down on student talent engagement — in just the last 18 months, 4 funds have launched student programs. It’s encouraging to see new funds follow in the footsteps of First Round, General Catalyst, Kleiner Perkins, Greylock, and Lightspeed. In 2017, Accel launched their Accel Scholars program to engage top talent at UC Berkeley and Stanford. In 2018, we saw 8VC Fellows, NEA Next, and Floodgate Insiders all launch, targeting elite universities outside of Silicon Valley. Y Combinator implemented Early Decision, which allows student founders to apply one batch early to help with academic scheduling. Most recently, at the start of 2019, First Round launched the Graduate Fund (staffed by Dorm Room Fund alumni) to invest in founders who are recent graduates or young alumni. Given more time, I’d love to study the rates by which student founders start another company following investments from student scout funds, as well as whether or not they’re more successful in those ventures. In any case, this is an escalation in the number of venture funds that have started to get serious about engaging students — both for talent and dealflow. Student entrepreneurship 2.0 is here. There are more structured paths to success for students interested in starting or joining a startup. Founders have more opportunities to garner press, seek advice, raise capital, and more. Venture funds are increasingly leveraging students to help improve the three F’s — finding, funding, and fixing. In my personal view, I believe it is becoming more and more important for venture funds to gain mindshare amongst the next generation of founders and operators early, while still in school. I can’t wait to see what’s next for student entrepreneurship in 2019. If you’re interested in digging in deeper (I’m human — I’m sure I haven’t covered everything related to student entrepreneurship here) or learning more about how you can start or join a startup while still in school, shoot me a note at sxu@dormroomfund.com. A massive thanks to Phin Barnes, Rei Wang, Chauncey Hamilton, Peter Boyce, Natalie Bartlett, Denali Tietjen, Eric Tarczynski, Will Robbins, Jasmine Kriston, Alicia Lau, Johnny Hammond, Bruno Faviero, Athena Kan, Shohini Gupta, Alex Immerman, Albert Dong, Phillip Hua-Bon-Hoa, and Trevor Sookraj for your incredible encouragement, support, and insight during the writing of this essay.